One of my favorite things about Super Bowl weekend is deciding what snacks to make for the big game. 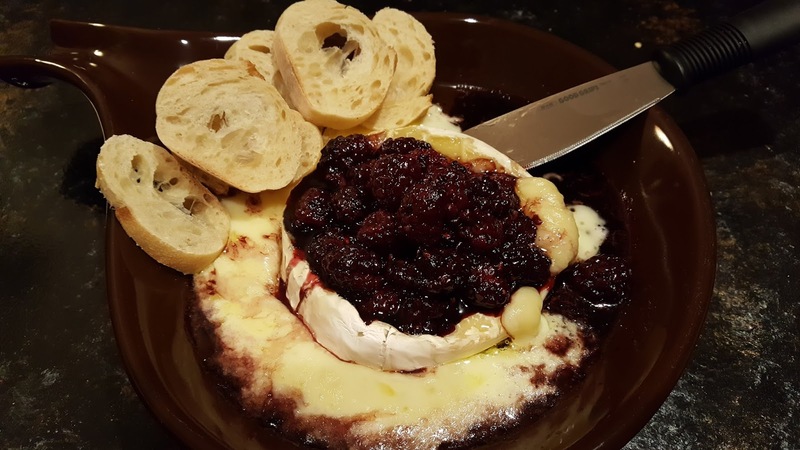 Meatballs, wings, and dips of various kinds seem to make the list, but sometimes I like to class it up a little with a high falutin' snack like brie. I love brie. I love it on grilled cheese, I love it in omelets, I love it on crackers. And I especially love it warm and melty. This preparation adds beautiful berries that have been reduced in a balsamic syrup. The great thing about this appetizer? It's SOOOO easy to make, and it's ready very quickly. And, it's also purple. My favorite purple team won't be playing this weekend, but it will still be fun to watch the game being played in our home stadium. And eating brie makes just about any sorrow seem less sad, even it is football. Find more great ideas at Inspiration Monday, Inspire Me, Busy Monday, Inspire Me 2, Fabulous, Show and Share, Hearth and Soul, Wow Me, Wow Us, Whisk It, Full Plate, Sugar and Spice, Weekend Potluck, Awesome Life. In a medium saucepan over medium heat, add the berries, sugar and balsamic vinegar. Cook stirring occasionally while the juices cook down slightly and the berries soften, about 5 to 7 minutes. Meanwhile, remove packing from brie round. Carefully slice the rind off of the brie. Place on a baking sheet and bake at 350 for 7 minutes. Top with balsamic berries (leave the spare liquid in the saucepan!) and bake an additional 3 minutes. Serve with bread or crackers. 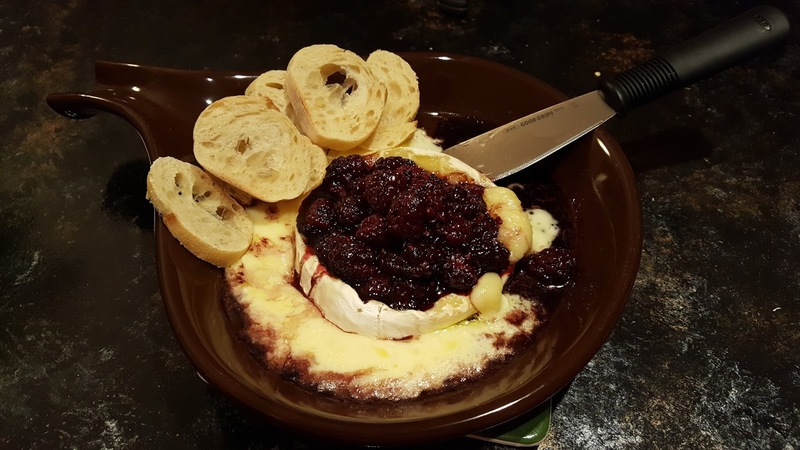 Your Baked Brie with Balsamic Blackberries is awesome and thanks so much for sharing with us at Full Plate Thursday. Happy New Year! What I'm making in 2018!